Courtesy of CCNC Realty Group LLC. Hawthorn home design on a 1+ acre lot. Enjoy open concept living on main level. Flex room and formal dining room off welcoming entry. Entry opens to casual living area with gas fireplace overlooking chef's island kitchen boasting expansive entertaining island, granite countertops, 42 inch cabinetry, stainless steel appliances. Kitchen includes breakfast area. Second level offers private owner's suite and relaxing sitting area with tile bath featuring dual vanities and generous closet. Three additional secondary bedrooms offer generous closets. Photos are representative. 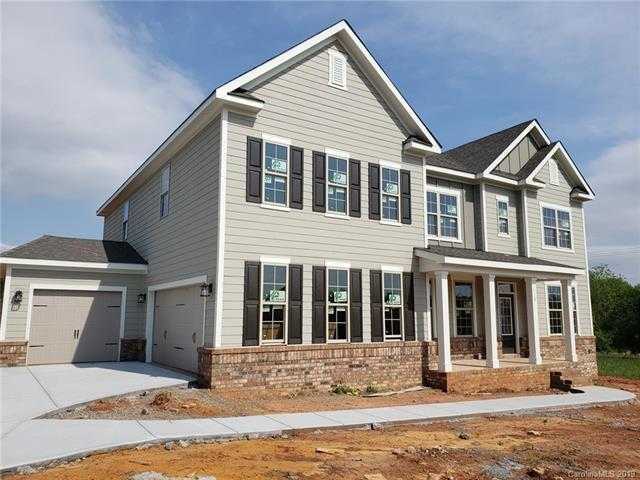 Please, send me more information on this property: MLS# 3471936 – $444,990 – 110 Sweet Grass Lane Unit 37, Mooresville, NC 28115.